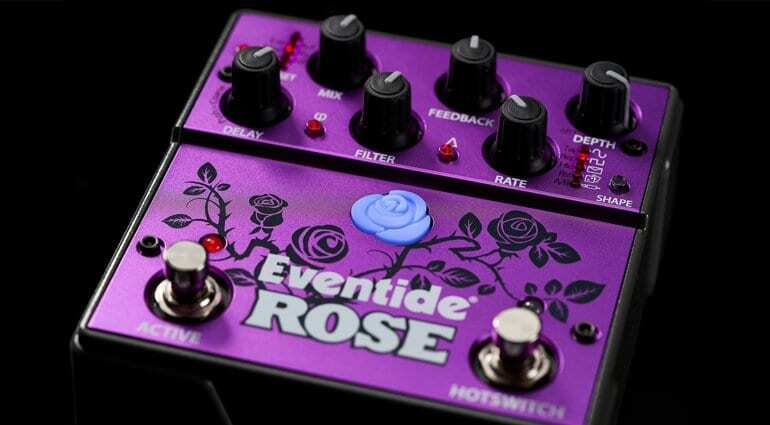 Eventide is launching a new guitar pedal (or should that be petal? ): Rose is coming to NAMM 2019. Presented in a vivid pink, Rose is based around BBD-style delay and throws together the digital and the analogue in an interesting way to achieve modulations galore. But how much will it cost? 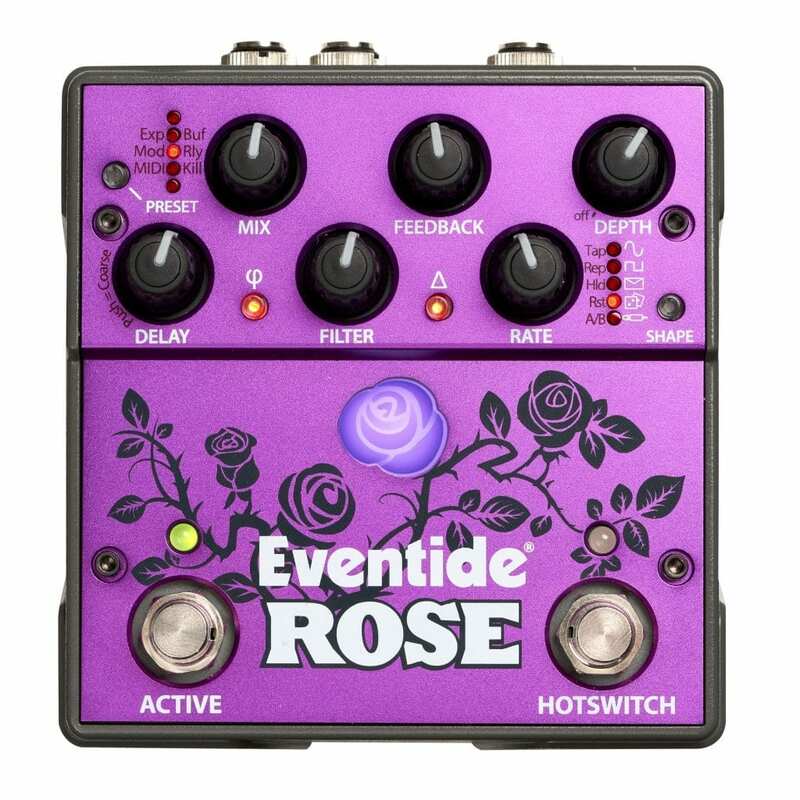 Eventide knows a thing or two about digital effects and with the new Rose pedal they have attempted to “graft a digital delay into an analogue platform”. 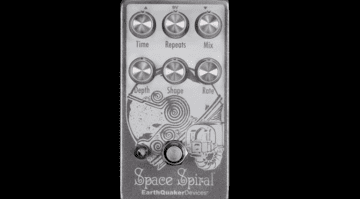 That’s Eventide’s marketing speak for trying to make a DSP-based effect sound and feel more analogue to us guitarists. The Rose has five presets available at any one time, as well as MIDI control and a fully assignable Aux switch/expression input. 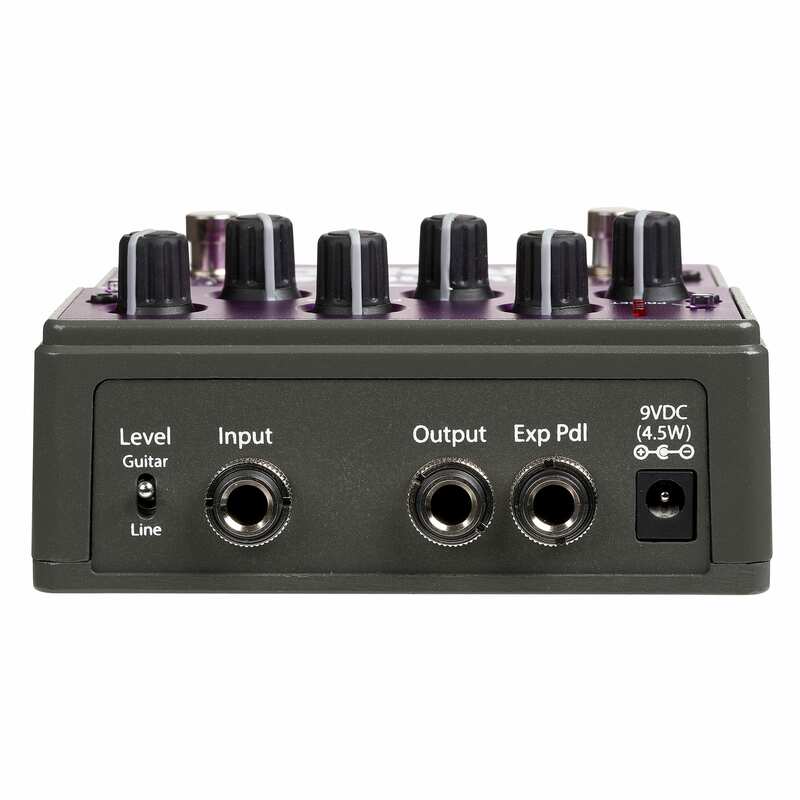 With controls labelled mix, feedback, depth, delay, filter and rate,you have everything you would expect from a delay pedal. There’s also a Delay Multiplier, and a ‘Hot’ switch that can choose between tap tempo, delay repeat, mod hold, mod reset or A/B. You also get an analogue low pass filter. Rose can also be set to invert phase and reverse delay, and adding up all the controls it seems clear that Rose gives you a multitude of delay and modulation variations. 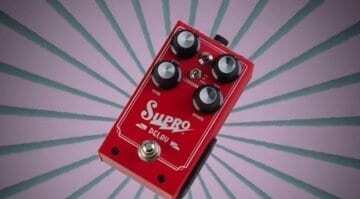 The external expression pedal function helps make that effect engine more easily controllable. 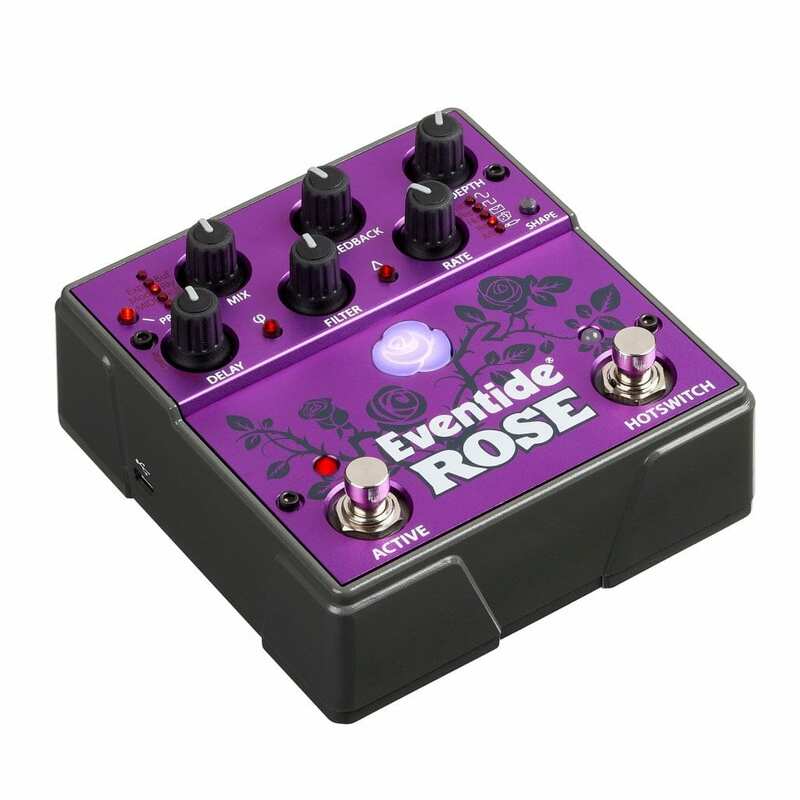 The Rose can be set to either Buffered, Relay or Kill Input, so it should play well on any pedalboard setup. 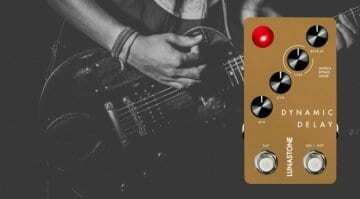 I like that it also has a Line/Guitar input level switch on the rear which means you can use it on just about anything. It runs from a 9-volt centre negative power supply. 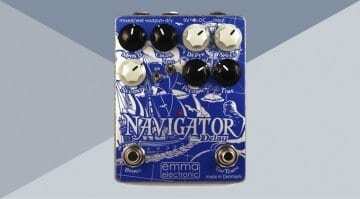 Look out for it at NAMM next week on Eventide’s Booth 4633.